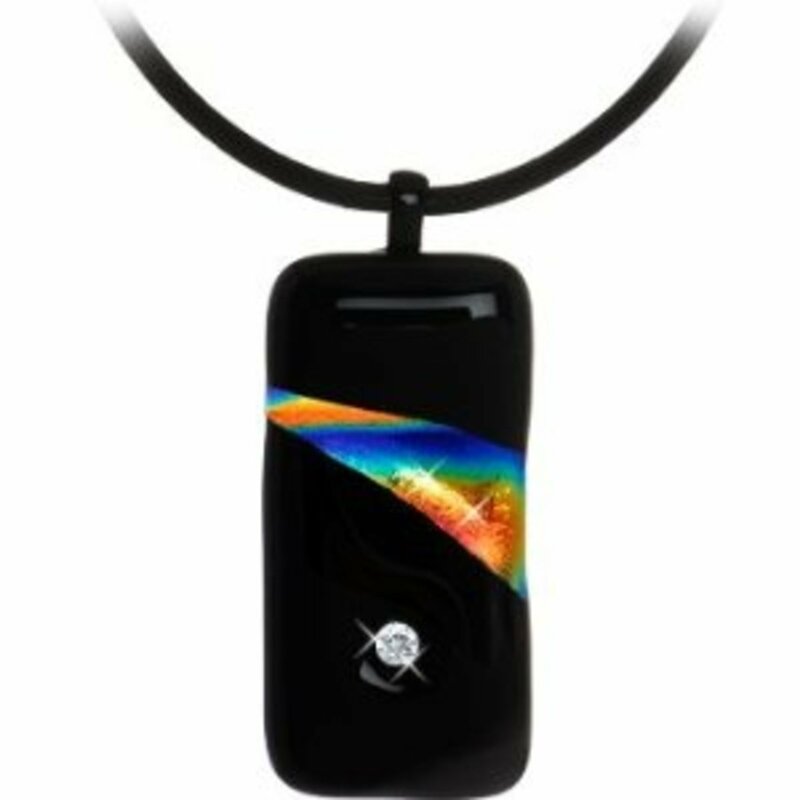 Gay Pride Black and Rainbow Diamond Pendant Necklace on a rugged leather strap. Why Should You Get to Wear LGBTQ Pride Jewelry? There are many reasons why I can say I have the right to my gay pride and to wear gay pride jewelry. There are many things I can be proud of over my 50 years on earth. I can be proud that I served my country (not so proud of not being asked and for not telling), however there was a greater good to be served by doing so, or rather by not doing so 30 years ago . I am proud to have served my community working in law enforcement, I am proud to be a female, I am proud of the charity work I have done in the past, I am proud of my kind heart, I am proud of being a survivor of abuse, I am proud of my education, I am proud of family members and I am proud to be a Gay woman. That's right, proud to be gay. I have earned my right to say I have Gay Pride and so I proudly wear LGBT Jewelry; have you earned your right? In being proud to be gay, if given the chance to take a magic-pill that would make be straight, I would refuse it. Why? Because God conceived me as gay and so I was born gay. Thus I am not a defect and I do not need to be made well. I was born the way I was designed. Kind, sensitive, honest and very loyal; all attributes I wish each and every human (gay or straight and everything in between) could acquire. No human is the judge for those lacking these qualities; the human duty is to simply love unconditionally, hoping those who do judge find a more peaceful heart, while refraining from hurting too man others along their way. "a becoming or dignified sense of what is due to oneself or one's position or character; self-respect ; self-esteem." This is a piece of Gay Pride jewelry you will truly be proud to wear. Unique styling, and lesbian symbol designed right into the sleek heavy gauge movement. This cuff bracelet will sit very comfortably on your lovers wrist. This piece is made from reclaimed silver, which helps preserve the Earths natural resources, making a perfectly thoughtful gift. 18K yellow and 18K White Gold ring set with diamond lesbian insignia. This beautiful 18K Yellow Gold mated with 18K White Gold is the perfect set! The two halves make the whole, like that of a loving relationship. This combination showcases interlocking female insignias set in fine quality diamonds, with a color grading of H-I (near colorless) and a minimum clarity of SI2. They fit together as one, just like you and your lover do. Female (lesbian) insignia is set in diamond in these unique rings made by Love and Pride, the first designer jewelry collection for people who believe in Diversity, Equality and Tolerance. Show your partnership in perfect unity with diamonds and gold! So, when we call our day 'Pride Day' and expound 'Gay Pride' and wear Gay jewelry, we must be aware of just what it is we are celebrating. 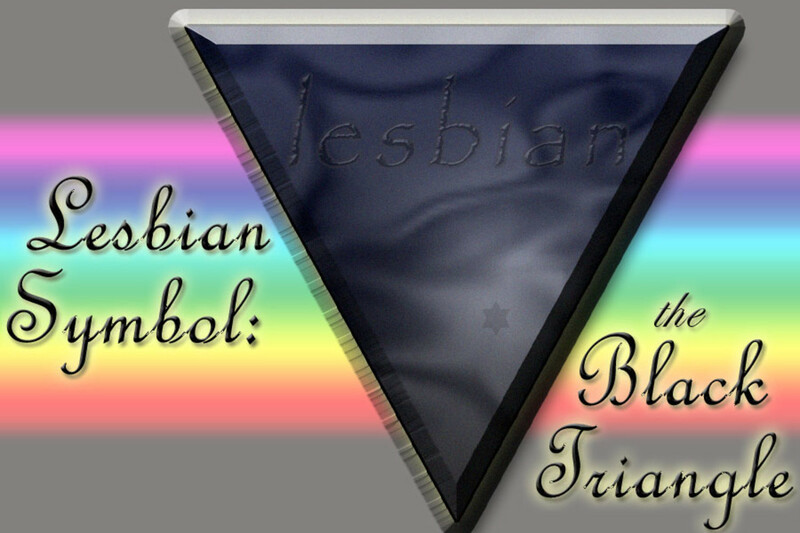 Each time you use these terms or wear pride jewelry, you should form the definition within your mind and only after conscientiously being aware of what it is you are stating, should you celebrate further, knowing for a fact you are worthy of such use of the term and are worthy of wearing the symbols. Not every gay person should get to announce they have gay pride. Like any other form of pride, you have to earn the right to shout about it. Harvey Fierstein has long been an out proud member of the gay community. He has played the roll, written the part and animated a sibling duck to get the point across. 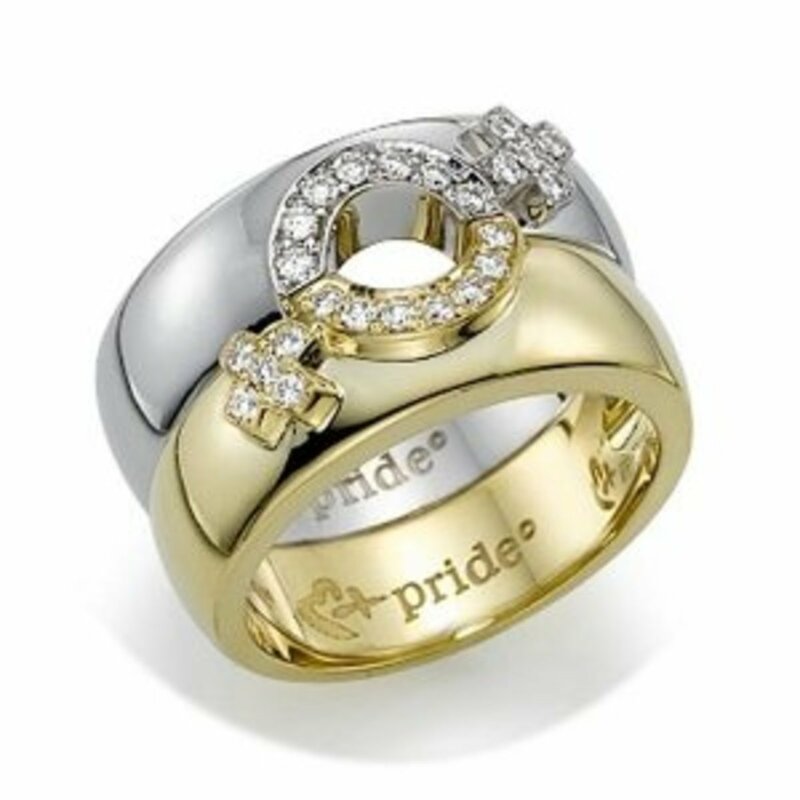 What have you done to earn your right to claim your gay pride and sport your lesbian or gay jewelry? Possibly it is time to reassess why you have the right to legitimately say you deserve gay pride...possibly we need a t-shirt that states, "Harvey Fierstein says I have the right to my gay pride!" Now that shirt would mean something! Swarovski Crystal Rainbow Design Dog Collar! Custom Pet ID Rainbow Dog Tags? We all know how loyal our canine friends are. If they could talk, they would ask us for "Rainbow Design Dog Tags" so they could show their support for their LGBTQ owners! Check out these cool pet dog tags that shout Gay Pride! Your K9 wants to be part of our movement too! These custom ID Pet Tags for your furry best friend. Sturdy, cheap, and really Cool! Looking for the hottest trend for the stylish K9 this season? Then you have to get your paws on the Swarovski Custom designed black nylon dog collar embellished with Genuine Swarovski Heliotrope, Sun, Blue Zircon, and Fuchsia crystals in a rainbow design. The crystals are hand set, and sparkle like real diamonds! New Design, brand new style, your pet will be the talk of the town! Comes in three sizes, small, medium, and large. Be the first to dress your dog for success this season! You will enjoy these Art Deco Exclusive Sculptures in your home. Guests will be in awe of your pride as well as your good decorating taste. 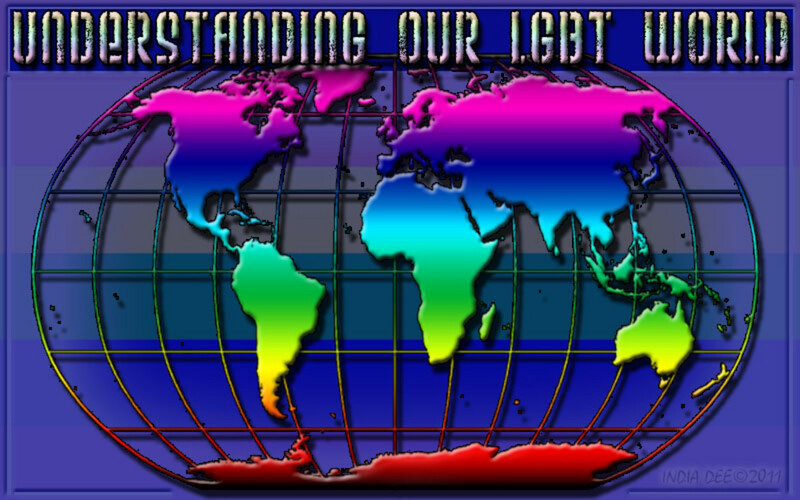 Display each throughout your home or office and let the world know just how beautiful your Gay Pride Life really is! Many are signed by the artist. WATCH THIS VIDEO TO FIND OUT IF YOU DESERVE TO CALL IT GAY PRIDE OR NOT! Shop for LGBT Earrings here! 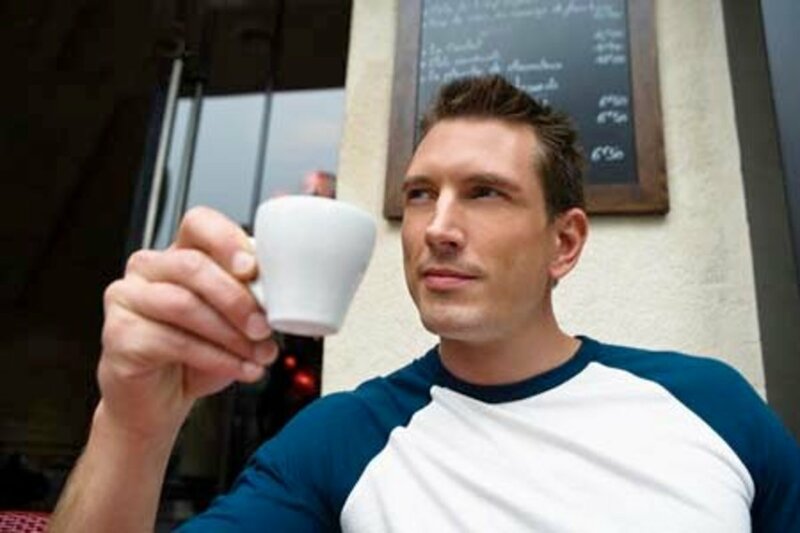 I have had many requests from readers as to whether I know any place to get LGBT specific items that lend them self to the gay pride movement. So I decided to put some items in an article for you to choose from. I hope you find a style that suits your taste and that you are worthy of wearing! You now have a place to buy some pride gear on Hub Pages! Wendy Krick~So glad you found something for your cousin. I really appreciate your comments and for stopping by for a read! These are great. You cave me an idea for my cousin for a Christmas gift. Thanks. LeanMan~Thank you for the advice regarding Saudi. I have no plans to ever visit there, primarily after you told me about the stoning of women for far too many reasons to list here after you read a previous hub of mine! Always happy you stop by for a read my friend! Appreciate your comments very much. This hub of yours about the Saudi women was quite an eye opener, to say the least! Surely worth the read in my book! Great selection K9, never be ashamed of who you are! But don't come here to Saudi!! IzzyM~Thanks for the read, it means the world. Great hub! I know where to come if I want any LGBT jewelry! Jane@CM~Thanks for the read. I appreciatet he comment. humagaia~LOL! I love that you don't pull any punches! The hub was strictly put together for a friend who wanted to see more LGBT products on HP hubs. I had just completed a hub on the best cutting boards so I was a bit spent. However, you are right, too short and too quiet. I shall revise. Thanks for calling me "out" on this Chaz. You rock! Thumbs up! Great selection of LGBT Jewelry. j.
Wow! That was short and sweet. Who did this to you. You should report them to the authorities. There are laws against this sort of thing.